[Free Pattern] These Ruffles Face Scrubbies Make Really Cute And Useful Gifts! Ever wondered how to crochet a simple rectangle? Here is a beautiful crochet rectangle blanket worked in the round that can be easily customized to any size you wish. The double crochet together stitches worked in the round create a very nice and interesting texture. 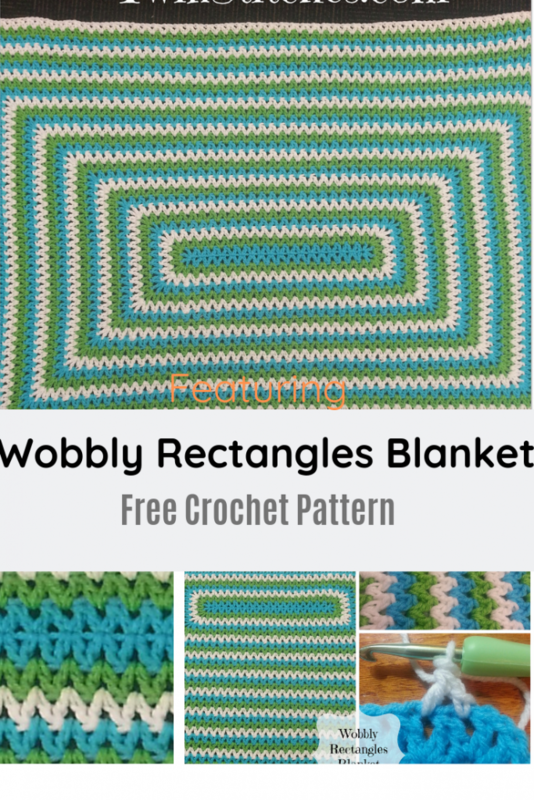 Wobbly Rectangles Blanket by Jennifer Uribe is a wonderful rectangular v-stitch blanket pattern which is perfect for your left over yarn or you could combine any colors you want to customize this blanket to match a specific decor! The pattern is so simple that you can make this blanket while watching TV and relaxing. Get the Pattern —>Crochet Rectangle Blanket Worked In The Round . Thanks to Jennifer Uribe for the article inspiration and featured image.